Secure your handgun and a backup, too. 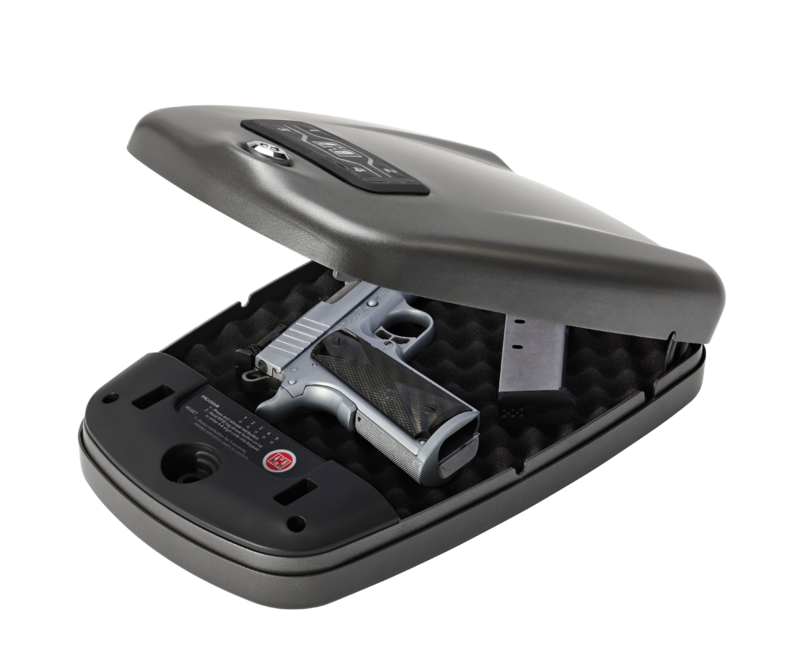 The RAPiD® Safe 4800KP has space for two 1911 size pistols. Heavy-duty construction of 14-gauge steel with two internal hardened locking lugs keeps things safe while RFID technology offers quick and easy access. Exceeds ASTM International safety tandards for child and pry resistance, lock strength, drop/pick/saw tests and high-attack resistence. RFID☥ activated by wristband, key fob or sticker that instantly opens spring-assist lid. Up to five RFID tags can be programmed. User can program four- to six-digit security code for secondary entry method or use barrel key. Exterior housing is made of thick 14 gauge steel with two internal hardened locking lugs. AC and battery power ensures your rifle is protected and ready to go 24/7. *IMPORTANT: Do not store loaded firearms in any safe or lock box. Follow local laws for firearm storage. Check TSA regulations and airline policies before traveling with any portable safe. Check dimensions of your firearms against the safe's internal dimensions. Remove "noted on bottom of the box" apply to all Rapid products please. Firearm and firearm accessories not included. 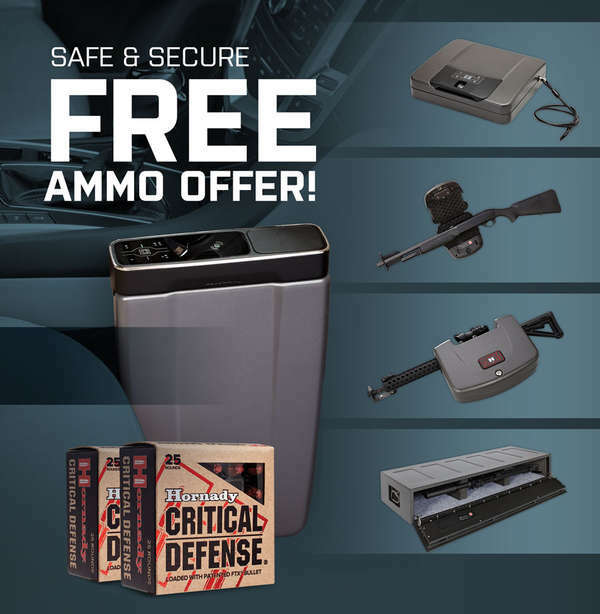 For a limited time, participate in the Hornady® Safe & Secure promotion and you'll receive a free box of Critical Defense® ammunition when you purchase an RFID-enabled RAPiD® Safe. Some exclusions apply. Why choose an RFID-enabled safe from Hornady Security®? By using RFID technology, there’s no need to find a key, register a fingerprint, or remember a combination. Plus, the RFID-enabled device can be programmed to read up to five different tags.